A Black Sequin Trilby Hat including a Black Trilby hat with sequins and a satin band detail – Ideal for a 1920s theme, or any fancy dress occasion! 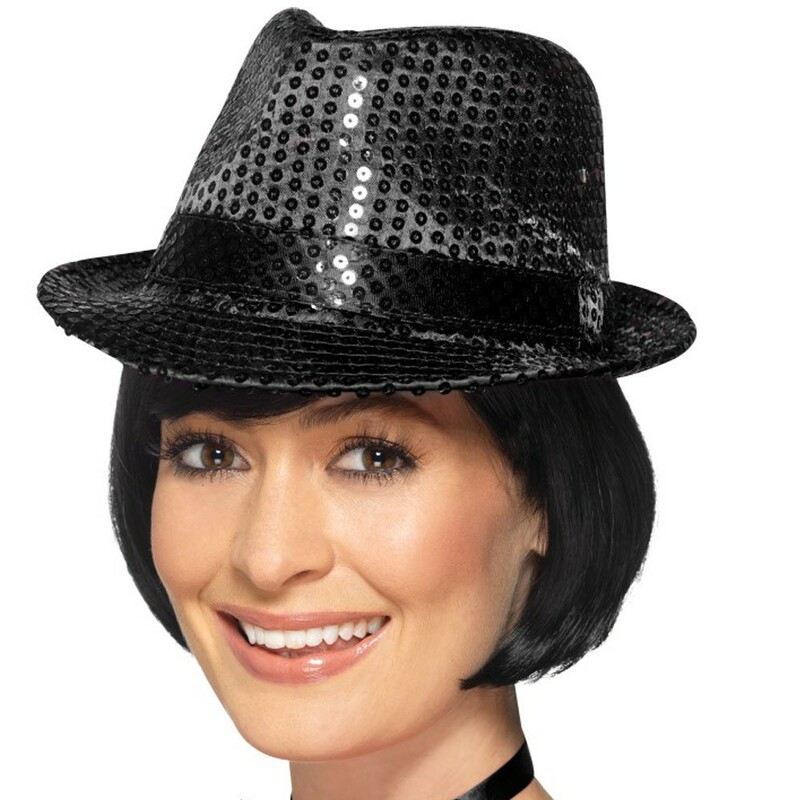 Add a certain bit of sparkle to any fancy dress look with this fabulous Black Sequin Trilby Hat. This stunning Black Sequin Trilby Hat comes complete including a Black Trilby hat with matching coloured sequins and a satin band detail. If you’re looking for some razzle dazzle to add to your fancy dress look then this brilliant Black Sequin Trilby Hat is perfect for you, featuring a traditional design, a satin band around the hat, and black sequins over the entire hat for a glamorous fancy dress accessory. Be show ready at a moment’s notice with this fantastic Black Sequin Trilby Hat, whether for a 1920s theme, Hen Party or Stag do, or any other fancy dress occasion! A Black Sequin Trilby Hat.